If the recent Shangri-La Dialogue demonstrated one thing—aside from the fact that Singaporean Prime Minister Lee Hsien Loong can deliver an important speech that is both strong and subtle—it is that mitigating tensions in the South China Sea remains a problem with no solution in sight. 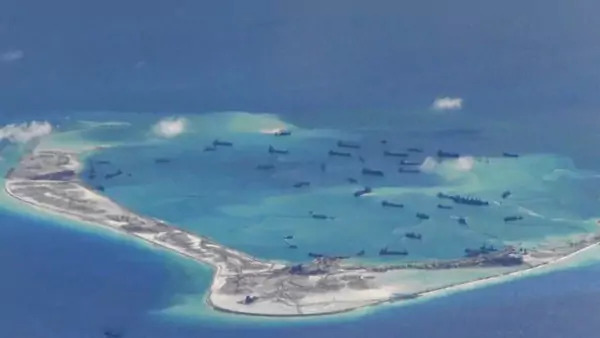 As the Chinese have continued with their reef reclamation and low-level militarization of small islands in the South China Sea, a number of Chinese scholars and foreign policy officials have sought to clarify the reasons behind Beijing’s actions. Yet what emerges from all the disparate voices is a sense that there is no compelling rationale—or at least not one that the foreign policy community can acknowledge. Instead, there is significant effort to impute an acceptable rationale to the country’s destabilizing behavior. The past is precedent: Other regions and states, such as Shanghai, Hong Kong, and Dubai, have expanded their territory into maritime areas without complaint, not to mention Vietnam and the Philippines. Economics is driving Chinese actions: China needs the disputed islands to manage its economic interests, including fisheries and offshore oil drilling. It is for the benefit of the region: China welcomes other countries to use the facilities on the reefs—they will help with weather forecasting and maritime rescue. China is responding to growing international expectations. This is all about the United States: Beijing is responding to the U.S. rebalance to Asia and the Trans-Pacific Partnership. The United States fears that China aspires to replace U.S. leadership, and that China’s experience will “outshine” the United States’ economic model, democracy, and values. The intensification of the “China threat” in public discourse in Washington is tied to a fight between U.S. President Barack Obama and Congress over U.S. defense spending and priorities. We have no problems with our neighbors; the United States is overreacting, escalating the situation, and making false accusations. International law has no role in the South China Sea: Territories are formed by historical developments [pdf], not by laws or treaties, meaning China’s sovereign maritime territory predates and is not subject to international law. The lack of clarity in messaging does not mean that the Chinese foreign policy community is divided over how Beijing should pursue its interests; instead, it suggests some confusion over what precisely those interests are. Unfortunately, for the rest of the region, the lack of transparency in intent makes it far more difficult to arrive at compromise—or even to believe that Beijing is interested in compromise. In the end, Beijing might as well be saying, “We are doing this because we can,” and that is certainly not a good introduction to “hehism” or any other Chinese contribution to international values.